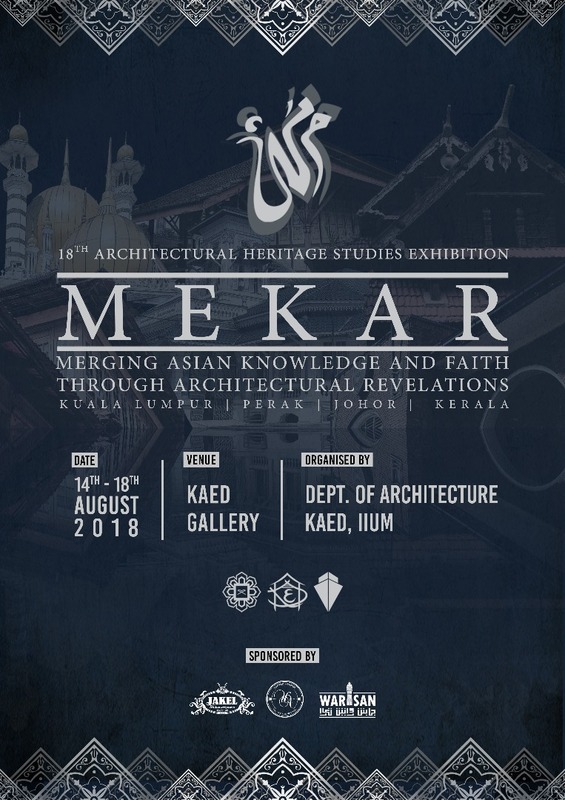 GOMBAK, 4 August 2018: The 18th Architectural Heritage Studies Exhibition themed “Merging Asian Knowledge and Faith Through Architectural Revelations” (MEKAR) will be open for public starting on 14 until 18 August 2018 at the Department of Architecture and Environmental Design (KAED). Organised by KAED, this annual event is aimed to give exposure to the comprehensive concept and the richness of architectural heritage in the Muslim world. This year’s exhibition will display six buildings of their study, which is: DiRaja Ubudiah Mosque, Kuala Kangsar; Pusat Latihan Polis (PULAPOL), KL; SK (P) Bandar Tinggi, Johor Bahru; Masjid Pasir Pelangi, Johor Bahru; Kilyammanil House, Malappuram, India; Masjid Syuhadah Kabeer, Malappuram, India. Aside from showcasing buildings, MEKAR exhibition will display drawings, physical models, reports, and documentation video of the buildings. The buildings aged 50 years and above are old but still stand strong until today. The public needs to know that these heritage buildings are the gems that exist today.